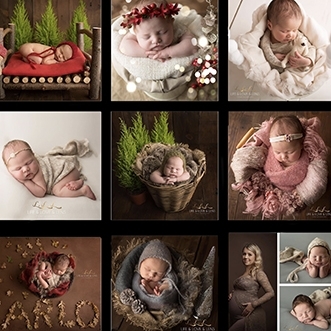 Newborn Photography is stunning and I am thrilled that subsequently it is becoming an ever more popular genre of photography. However. It must be done safely. Each and every newborn session should prioritise the safety of those scrumptious little people above all else. Newborn photography is perfectly safe, provided it’s done correctly and as an industry we have a duty to promote safe practices amongst photographers and the parents who place such a trust in us when they allow us to photograph their babies. Here’s the thing. Too long the methods behind those beautiful ‘How do they do that’ poses have been the proverbial man behind the curtain and it’s time for that to change. “The photographer said ‘oh yes of course I did one yesterday, this is how you do it’ and told me to put the baby in position then ‘let go’ while she tried to catch the shot. She told me her head would bang down but said it would be fine. She told me ‘that’s how it’s done’. “Being in Mothercare – and with a seemingly professional photographer who had a growing queue of babies behind her – we stupidly agreed,” said Hayley. That is utterly beyond ‘not okay’. It takes time, skill and patience in studio and in editing to achieve these shots. If a photographer doesn’t have these they shouldn’t be attempting these poses. I am a member of the Baby and Newborn Photography Association (BANPAS) which seeks to promote safety in the area of Newborn Photography, Helen McGlynn, co-owner of the organisation said the stories illustrate not only the bad practises of some photographers, but a major lack of awareness amongst parents about how these photographs are created when done properly. The core values as outlined by Emma are what I believe all Newborn Photographers have a duty of care to uphold. As Helen says, newborn images such as the head resting on hands shot are created safely through the use of Composite images (which is simply two or more merged images) so that the baby is safely supported and ‘spotted’ at all times. The below images show the safe way of achieving a shot with the babies head resting on her hands. I would urge all parents to check out the BANPAS website and book a photographer who is either a member with them or someone who they have spoken with and satisfied themselves that they are aware of how newborn photographs are safely achieved. BANPAS members must provide evidence of business insurance and demonstrate that they are working safely by providing composite images showing their work. There is a directory available on the BANPAS website of BANPAS approved members. If you have any questions about safety within the area of Newborn Photography please don’t hesitate to ask.